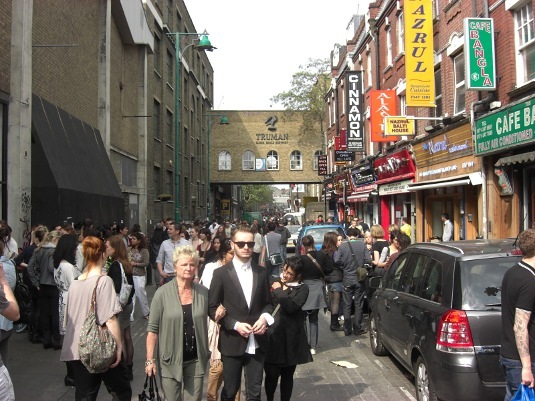 Brick Lane Market at 1439 on Sunday 17 April 2011. Is there nothing that isn’t cool about this place? 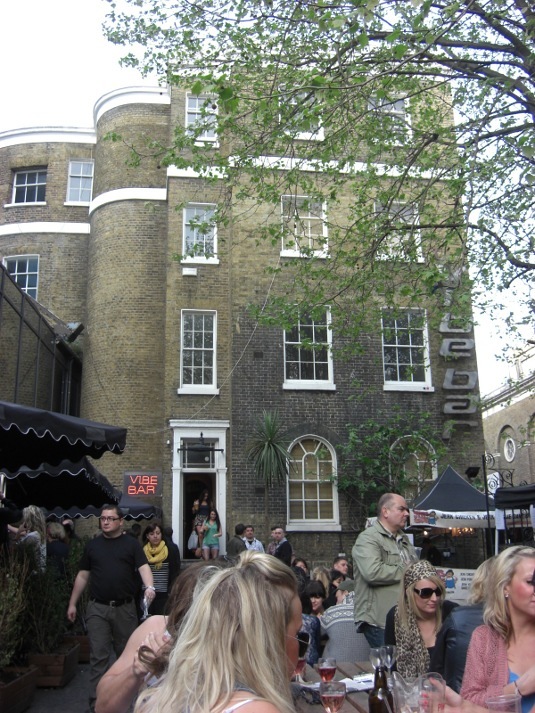 Pictured below is outside the Vibe Bar, where I quaffed a few Pimms in the late afternoon.